Universal filing tool for sharpening all STIHL saw chains, circular saw blades for STIHL clearing saws and STIHL hedge trimmer blades. 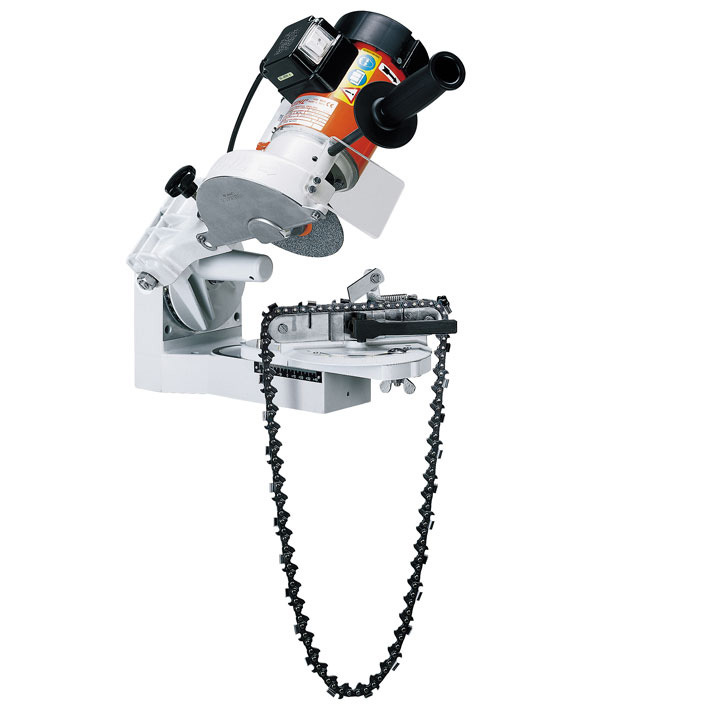 Complete with swivel head for all STIHL Oilomatic saw chains and two shaped grinding wheels. Also suitable for sharpening STIHL Duro saw chains.